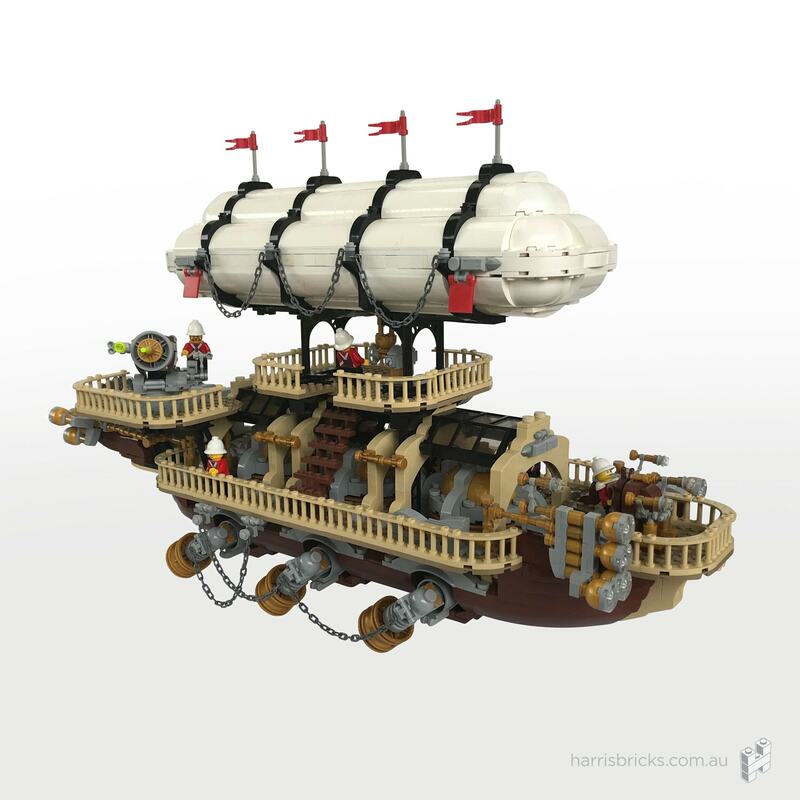 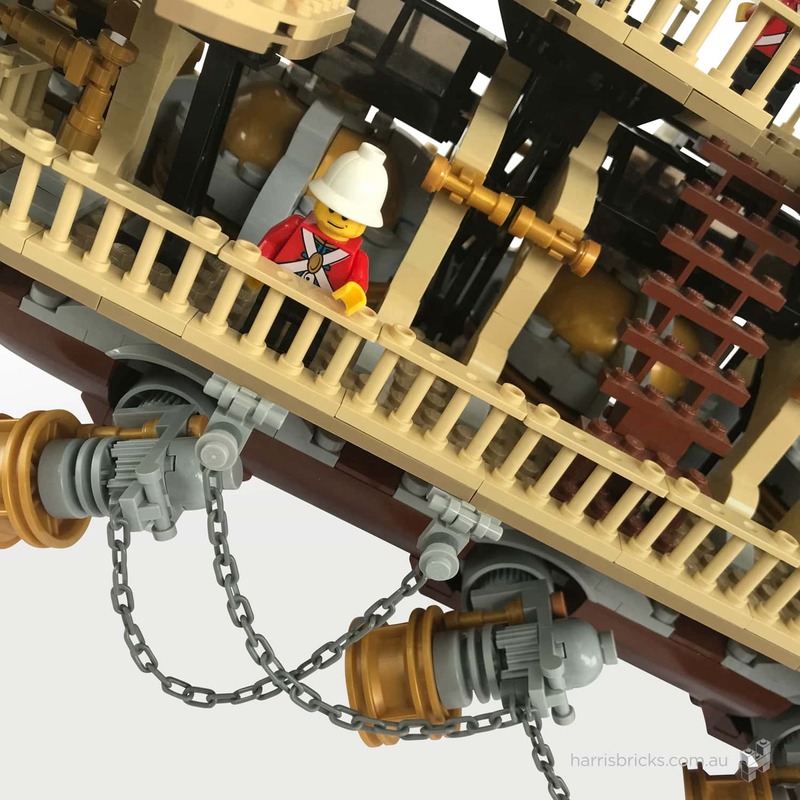 This is my first official MOC, a LEGO steampunk ship. 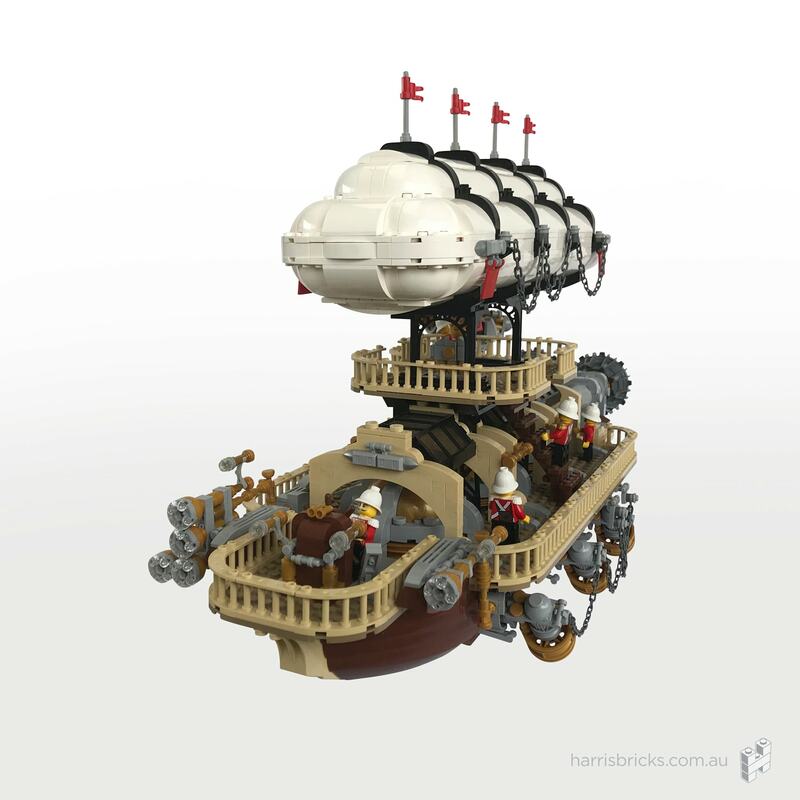 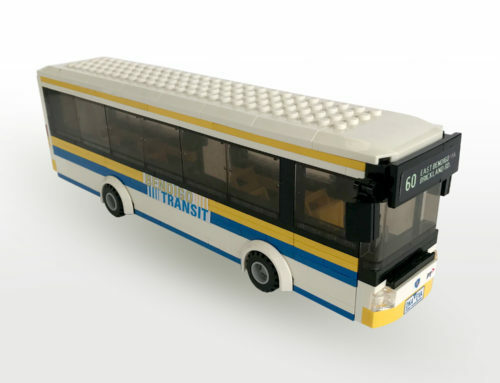 Obviously, over the years, I have built a number of MOCs but this is the first time I set out to create something to exhibit. 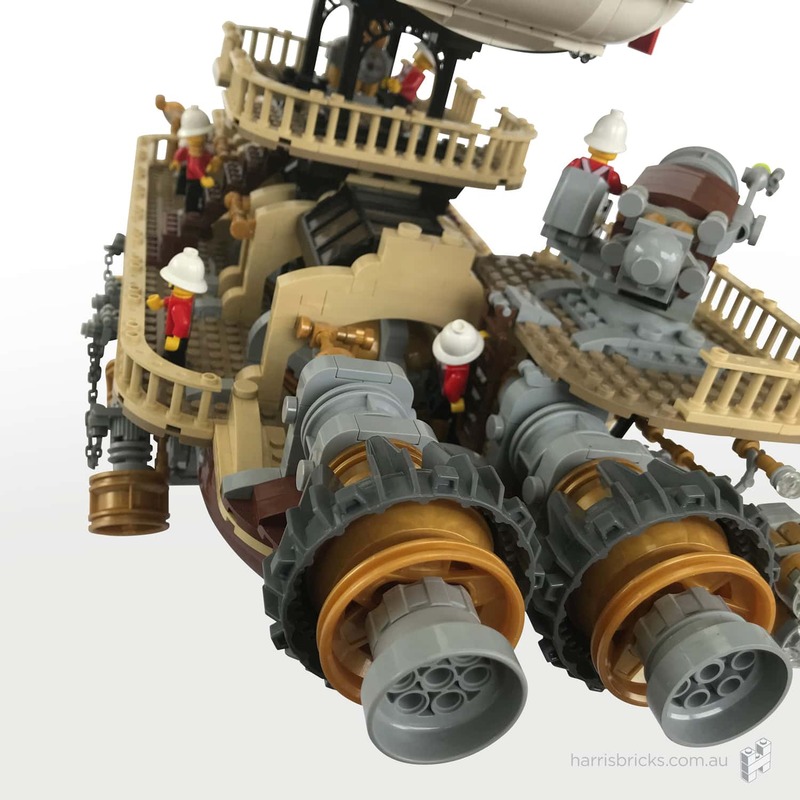 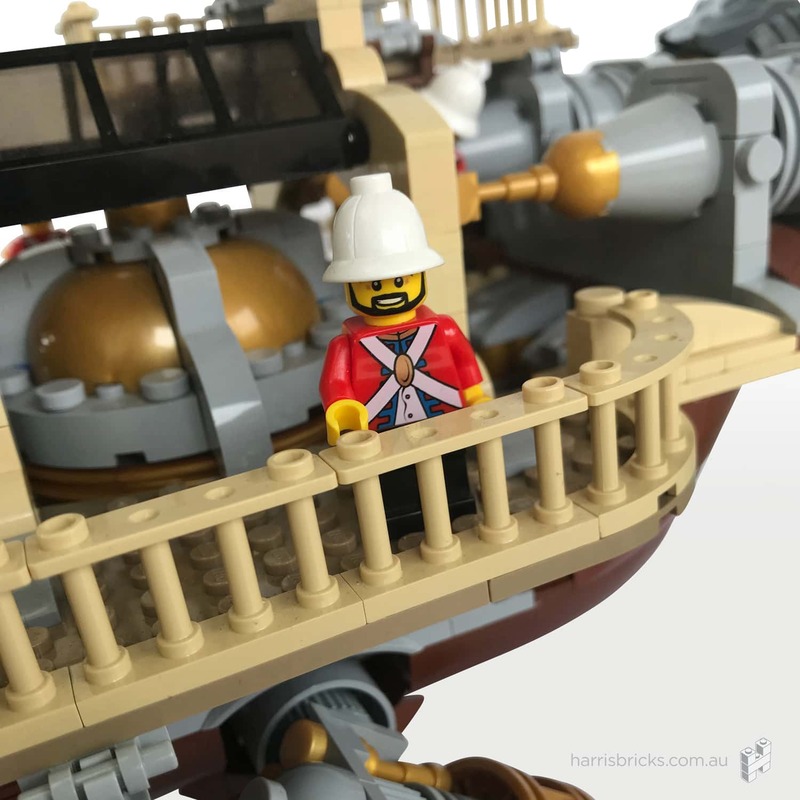 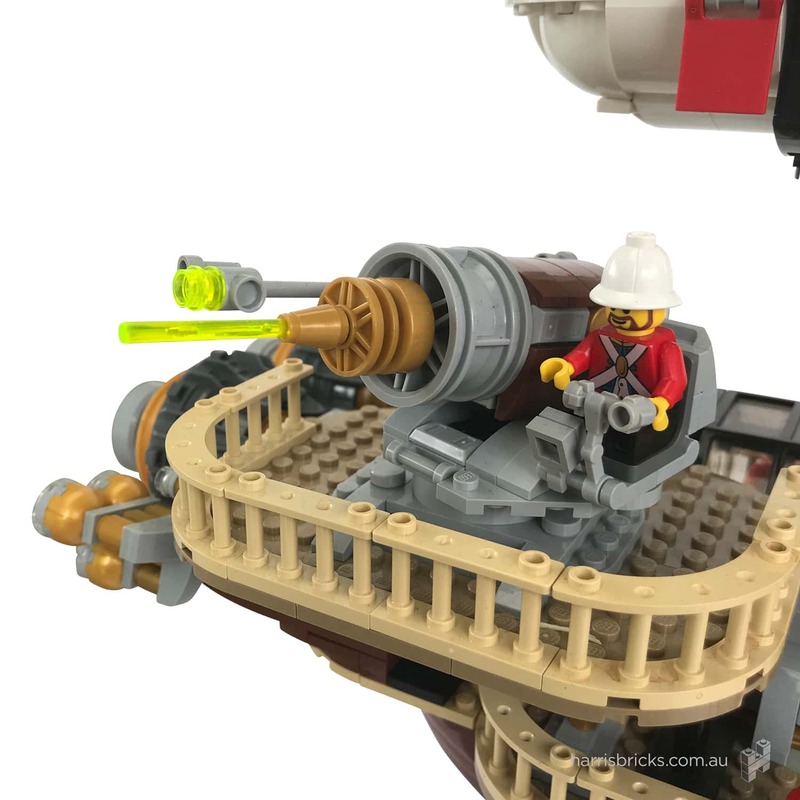 This MOC features a crew of Her Imperial Majesty’s finest airmen patrolling the skies in the pride of the fleet, an airship built to take best advantage of new experimental technology. 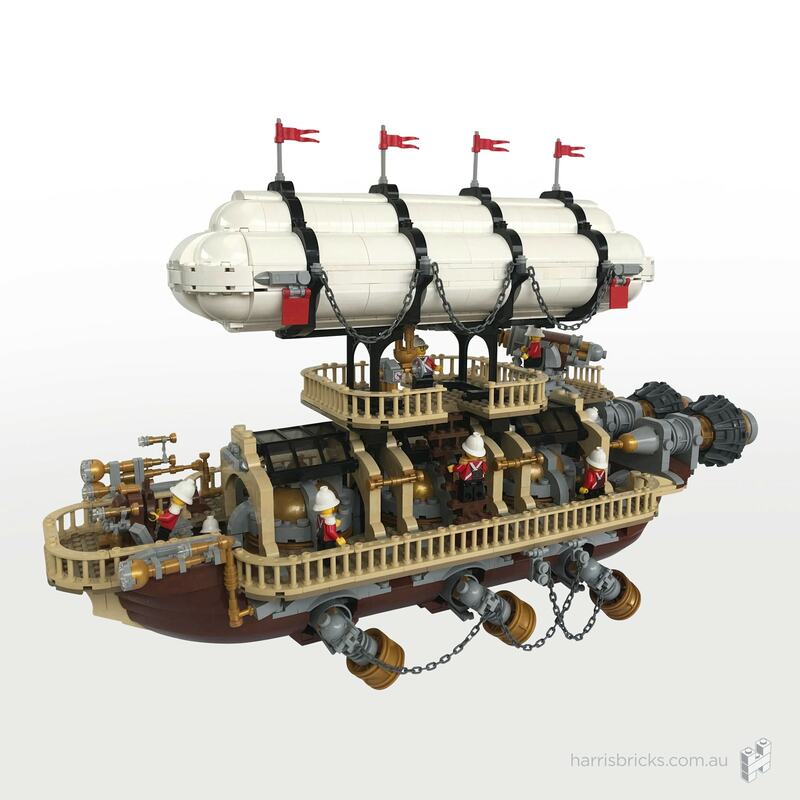 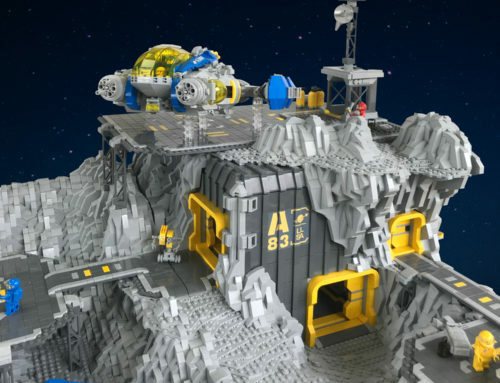 The ship features two decks, uncustomary fore navigation and steering systems, combined tri-chamber copper keslerite aether lighter-than-air buoyancy and lighting technology, 8-thruster keslerite-steam propulsion system and aft gun deck. 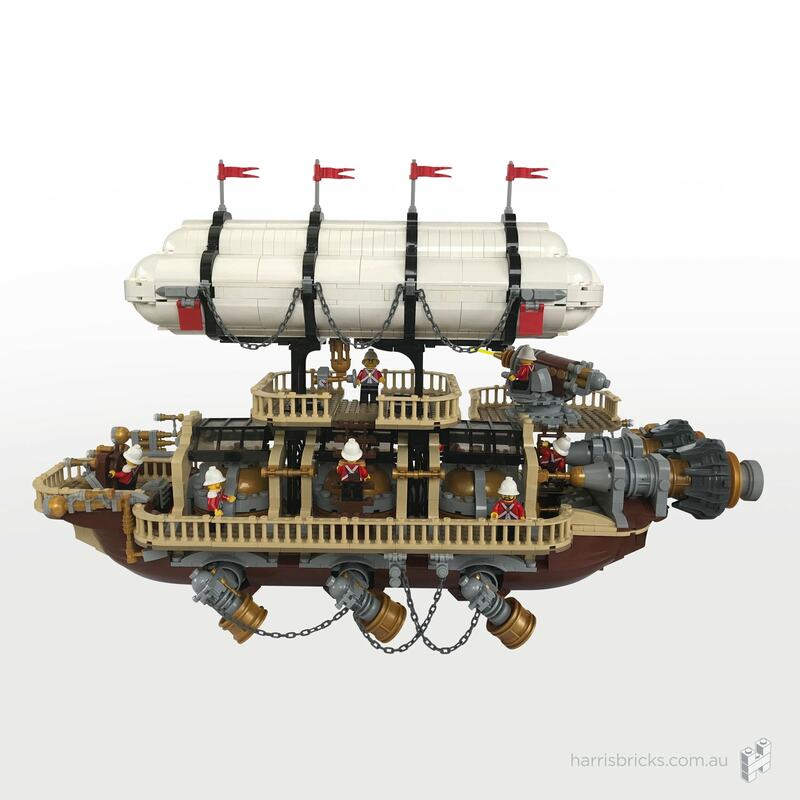 I have been interested in the steampunk aesthetic for some time and this airship is my first foray into the genre. 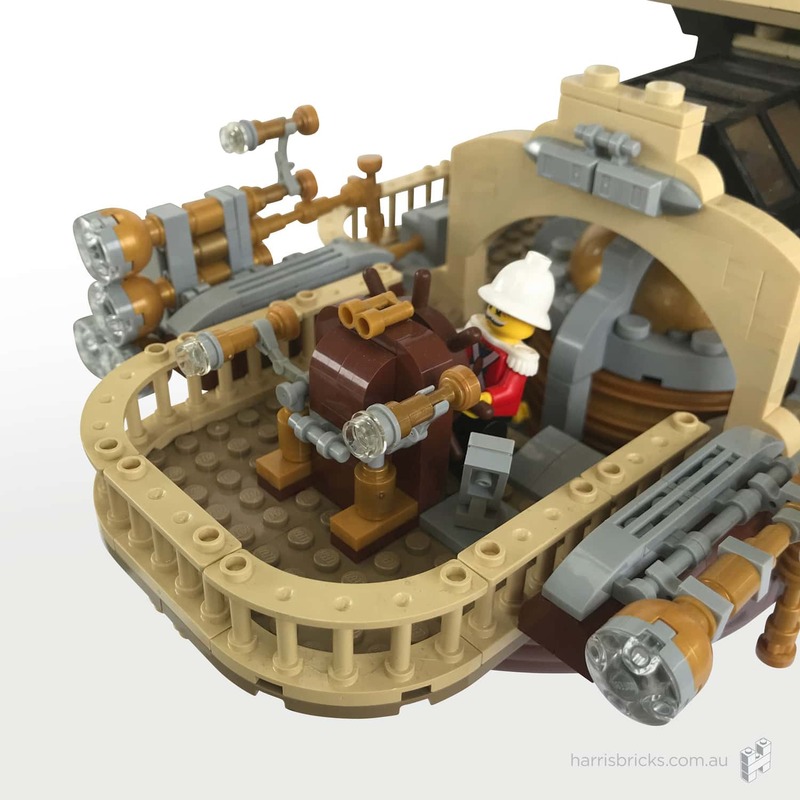 I plan on creating more steampunk MOCs in future.